I began my maritime adventure with the statement “I have absolutely no reason to be at sea”. That isn’t entirely true. 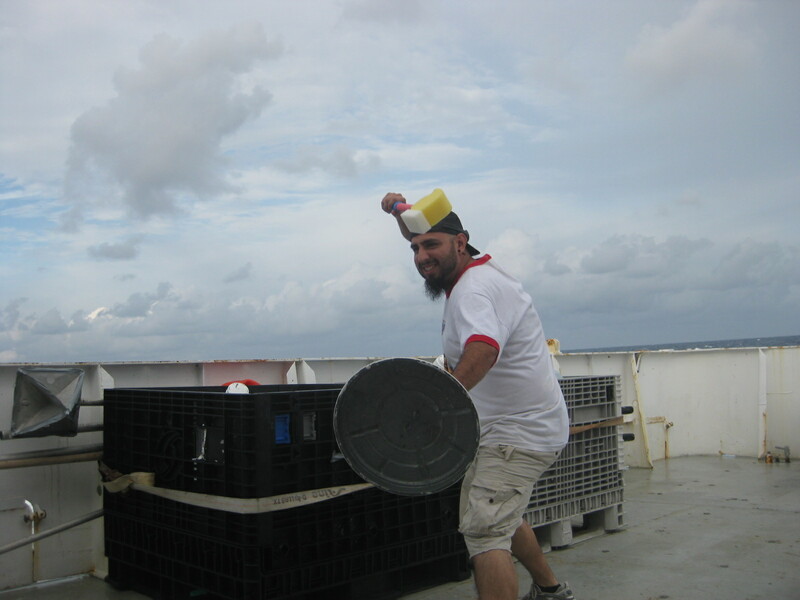 I decided to join the cruise as a helping hand mostly in order to be able to say that I had been out on the high seas. During the first day or two on board, when people were still learning each other’s names and expertise, I received the initial raised eyebrow as to why a grad student in environmental policy was on the ship. The almost unanimous next response was ‘it’s so good to see a future policymaker understanding what it’s like out here’. Even though I’m not sure that I will ever be in the position of writing legislation (as opposed to analyzing policies and broader governance structures), it’s nice to know that my two weeks on the Atlantic gained me some professional legitimacy. And since I’m in the business of studying how the creation of scientific knowledge turns into conservation policy, I think it was an important experience to have. One of the biggest issues in environmental policy is how to deal with uncertainty. And a trip at sea certainly yields enough uncertainty to stymie and army of policymakers for decades. Under US governance, laws are supposed to be based on “the best available science” and under Obama, science-based policy is an explicit goal of the administration. Despite the feel-good nature of those phrases, they open the trap to study something to death in order to get the best knowledge while action on the problem really needed to happen yesterday. 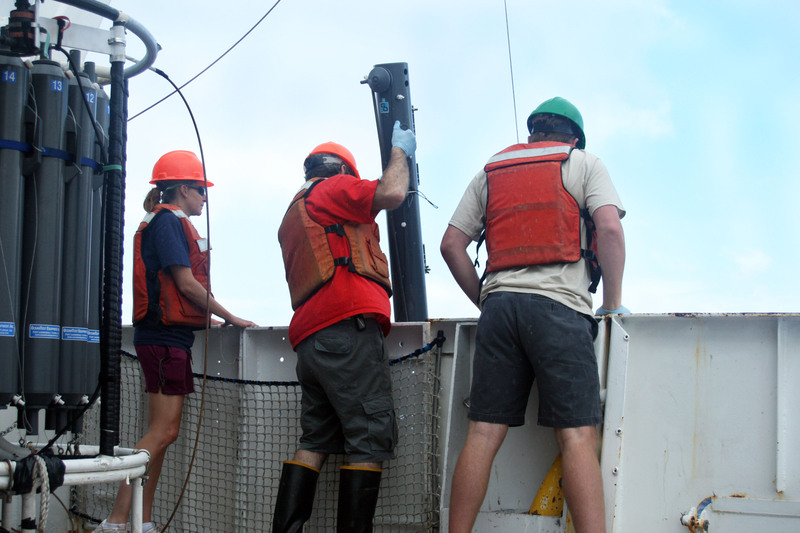 For our mission looking at food web ecology and energetics of Prochlorococcus, the most abundant phytoplankton in the world’s oceans, two weeks of research is supposed to inform further research efforts and potentially conservation and biofuels policy. 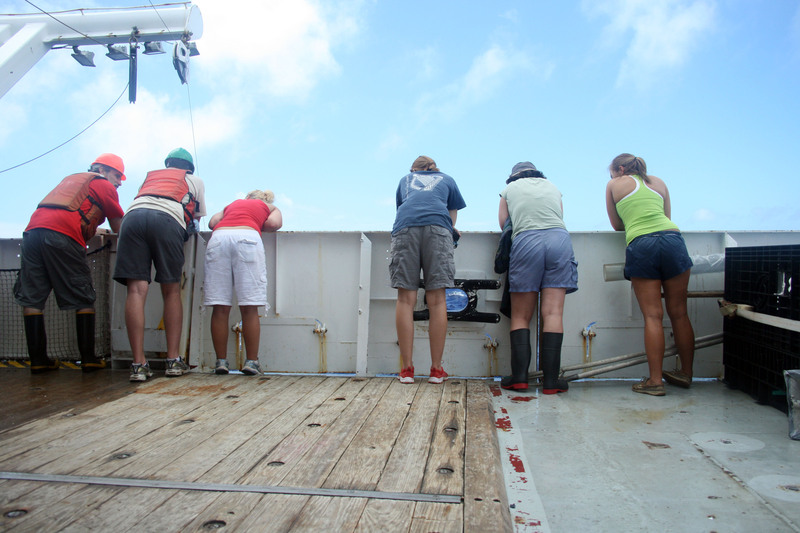 During those two weeks, we spent much of the time waiting for weather good enough to tip the equipment overboard and searching for the right community of organisms in order to run the experiments. The experiments that happened during other productive research time provided a tiny snapshot of what’s going on in the rest of the North Atlantic. The scaling up process may or may not be a fair one, but it’s the best we can do as researchers in an immense study system. Uncertainty also flows the other way: once laws are in place, how easy is it for citizens to abide by them and learn the implications? We were in the high seas, also known as international waters, and governed under a set of voluntary doctrines agreed upon through international bodies such as the UN. However, we didn’t realize this was the case until around 2am one morning 4 days into the cruise. I’m sure had someone stopped to think about it, the realization would have happened earlier, but bouncing around from station to station and not even changing the clocks to the new time zone made it something that took effort to pay attention to. Had legislation changed significantly from US territorial waters to international waters, we would have been following the wrong set of policies for a couple of days. In our case, US laws are more protective, so it was perhaps good for the ocean, but that’s not the case for many if most countries. Also, posted around the ship were signs informing us that absolutely no plastic was allowed to go overboard with the minced trash. Consequently, there were smaller trash cans next to each large one labeled “plastic” and signs on all others “absolutely no plastic”. However, I had several moments in which I found myself standing vexed in front of the cans with a food wrapper, entirely unsure what it was made of. Some are paper, completely biodegradable and suitable for the compost bin known as the ocean. Others are clearly plastic. But then there were some that were clearly paper on the outside lined with something silver and shiny on the inside (think of chip bags). And I remembered reading a study before leaving that talked about how plastic almost ubiquitously lines all food containers, including cans and bags. The article was critical of this because of the toxicity of the plasticizers used in creating these containers, but in the case of out here, one look into the bins made it obvious that people weren’t aware what their food was wrapped in. So we’ve contributed to the problem of plastics in the ocean as a vessel full of people committed to marine conservation. Imagine what the situation would have looked like had we not cared quite so deeply.